The Urban Street Forest Foundation uses vertical greening in cities as a tool to plant as many trees as possible in developing countries for the benefit of large-scale landscape restoration in the fight against desertification. Vertical greening in cities is realised by means of trees and plants on balconies. For each tree on the balcony, at least one is planted in a developing country. Planting in developing countries is done together with local farmers in Agroforestry projects. We plant trees on balconies! We accomplish this by involving children, neighbours, artists, local shops, companies and organizations. For every tree planted on a balcony in your neighborhood, a tree is planted to combat desertification. We do this together with farmers to help make their lands fertile again. In effect farmers can improve their living and bring more products to market. The inspiration for the project came from Friedensreich Hundertwasser, this Austrian artist came up with the concept 'The Tree Tenant'. Europeans emit an average of 6400 kg CO2 per year. Trees convert this CO2 for us into wood and fertile soil! By planting 4 trees per month, you can already offset your own energy consumption. 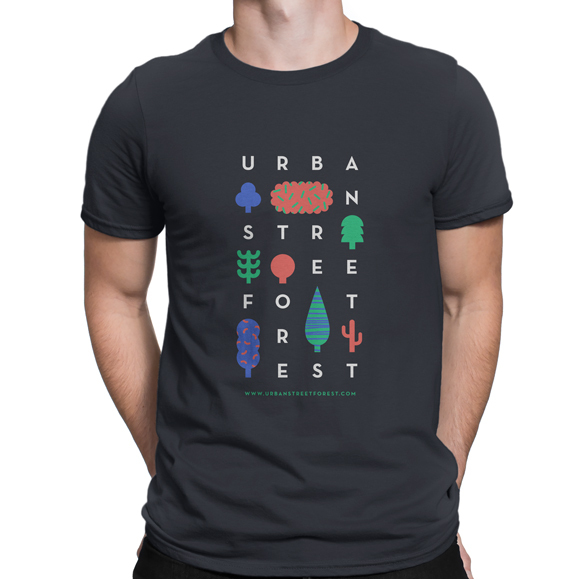 If you plant trees for €5 or more per month for a year, you will receive an Urban Street Forest t-shirt! 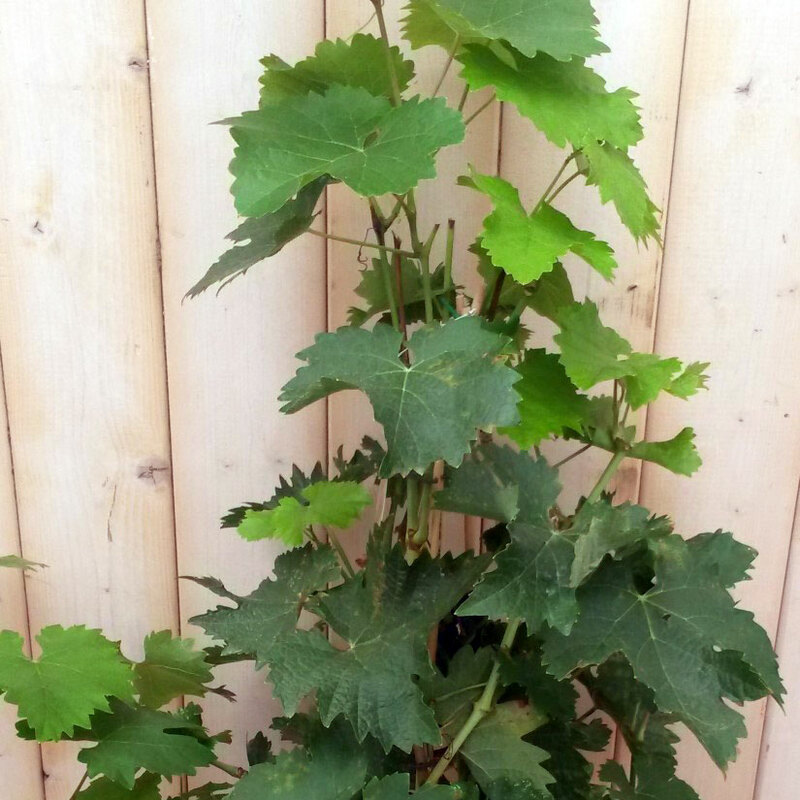 For every tree you buy through our website, we plant a tree at a farmer in Africa. You brighten up your own garden or balcony and you also help a farmer in Africa to improve his land. This allows him to grow more food and sell more products on the market. If you would like to organize an Urban Street Forest Project yourself, please contact us via mail or whatsapp. We have an easy guide for organizing and guiding you through the process via the online management system Trello. We plant trees to restore landscape! Loss of fertile soil is a major problem around the world. About 30% of the Earth’s surface is degraded. Natural areas along with farmland both suffer due to the washing away of the fertile topsoil, caused by deforestation. Loss of topsoil results in failed crop harvests and food insecurity. Planting trees is the first step in the right direction to restoring healthy soil. With the strategic planting of trees along with the building of small dams, fertile soil will be rebuilt and retained. Areas once vacant of plants can become productive again within 10-15 years. By working together with nature and farmers to address both their needs, we help to reclaim local economies by reclaiming the fertile soil. We are proud to partner with Trees for the Future. 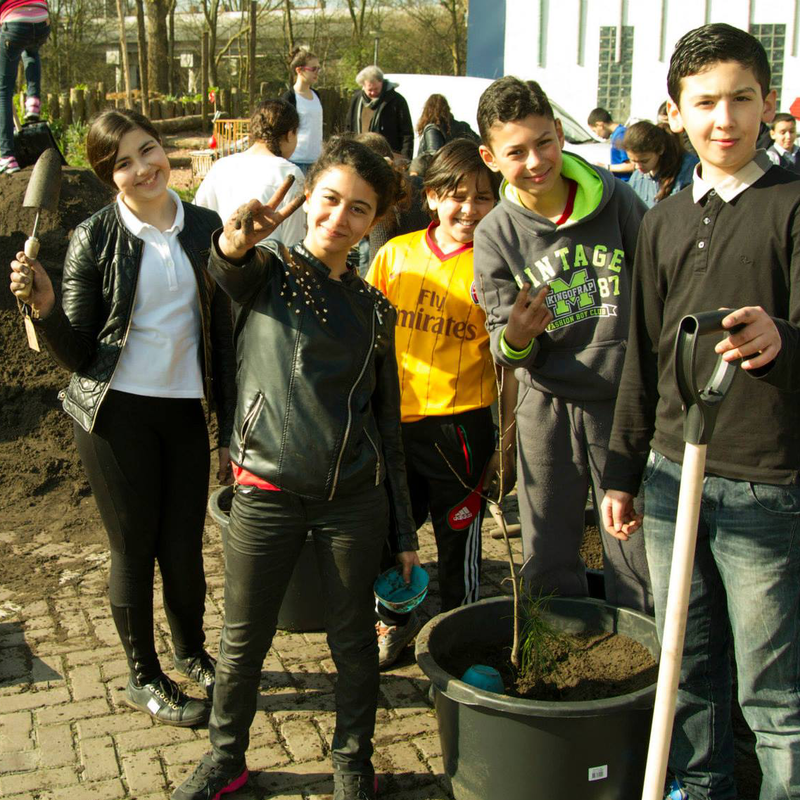 They plant trees in developing countries, together with local communities. This enables them to restore the landscape, grow more food and build a sustainable future. Visit www.treesforthefuture.org for more information. We have been active in the south of Spain since 2018 to restore the landscape in the fight against the hard advancing desertification over there. Where have we carried out projects? Carbon Karma compensates the CO2 emissions of companies and organizations. Lux & Co light rental company and Electricity & Co from Erno Das compensate their CO2 emissions via USF. We Love Recycled provides sustainable printing on recycled and FSC certified paper. Van Hall Larenstein University educates high quality, ambitious and innovative professionals who contribute to a sustainable world. Inspires and supports municipalities to the implementation of sustainable development goals. Sustainable, social and accessible screen printing in Amsterdam. Donkergroen designs, realises and manages living environments with sustainable respect for people and the environment. Location management for film & TV.